Going down memory lane… ‘AIESEC UniPort! AIESEC is an international non-governmental not for profit organization that provides young people with cross-cultural global internship, volunteer opportunities and leadership development experiences on campus. With a focus to empower young people so they can make a positive impact on society. AIESEC, originally a French acronym for “Association internationale des étudiants en sciences économiques et commerciales”. Members come from a variety of college majors, not necessarily from an area related to economic or commerce. AIESEC is the global youth network impacting the world through leadership development experiences. AIESEC has been facilitating youth leadership activities as well as international internships & volunteer experiences for over 65 years, developing a global learning environment across 124 countries & territories. During my school days at The University of Port Harcourt, Rivers State I became an active AIESEC member. At first, I’d reluctantly joined the Karate club (instructed by Ike) who later became a close pal and was nick named “Ike-Kia” (behind him) ‘between my friends and I because all we could remember after the painful kicking practice was the term “KIA”. It was fun while it lasted, but wasn’t enough to keep us busy. So, we all turned to AIESEC where I was nick named, Aiesecer Gansy or Yarinya (Fulani girl). What we do: We seek to learn from the different ways of life and opinions represented in our multicultural environment. Basically, we’ll hold meetings after lectures in the evening to discuss empowerment, leadership roles and advancement in our chosen career path towards the future. We had trainings in social skills development and building corporate relationship. More like a platform of connection and readiness for the corporate world. We conducted several hands on training and seminars all around other Federal universities and also outside the country. One of the fun and memorable aspect of AIESEC: Travelling (adventure), Exchange program (connecting) and development of great social skills. Everyone becomes a companion keeper to each other and vice versa with other Aiesecers throughout the country. There’s always a venture to elevate each other through the process of empowerment, enrichment and a stand-by support team work. I still hold beautiful memories of seminars and conferences at University of Benin, University of Calabar, UNN etc. and best of all in Cameroun. The drive always long and dusty, but with a bus filled with passionate and youthful zeal to see the world, embrace the opportunity and accomplish the great works ahead, we were all determined. You cannot be an introvert or a shy one in AIESEC. You cannot be condescending or arrogant during a presentation. 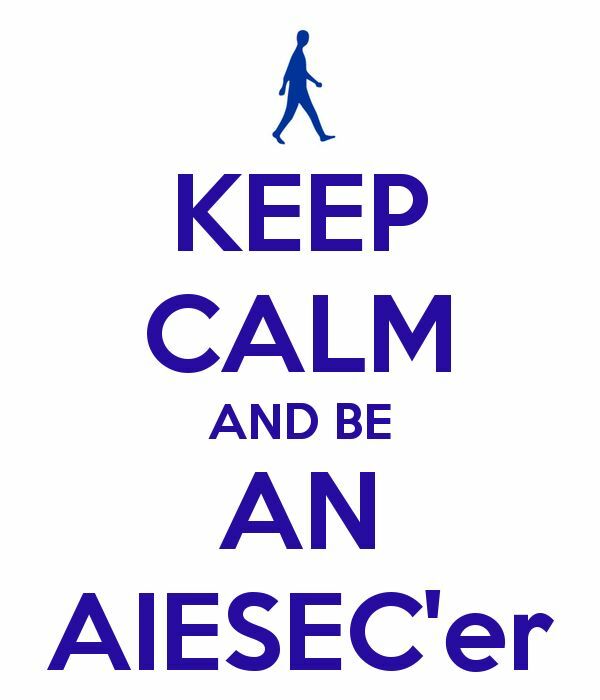 AIESEC is all about your inner capabilities. Being all you can. Being a natural. So, over the weekend, I had a great pleasure of connecting with my over 17-years-university-days-fellow Uniport and Enugu Aiesec Alumni from all over the world! Thanks to Uniport Local Chapter President (1996) Emeka Isiji – Aiesecer Ecg who created a chat room in what’s app and has received over almost 1000 text responds with pictures of before and after! To my home AAs: Emeka, Prince Nwolisa and Daisy, Oakman, Gerry, Gen-gen, Lipsy, S & B, Poser, Suleiman, Muyiwa, Nnazzy, Nero, Paulo, Rita, Zainab, Uzo, PYT and more…I salute! O men! Also to acknowledge Aiesec Alumni from Enugu (our brotherly city) Thanks to – AA Iroko (Henry) and LCP AA Alex! ( AA Iroko, you still look good with or without make up! smiles) whose unbelievable but humorous recall of how their “horrible” stay in ALUU (near Uniport) for a Regional Training Seminar event of almost 17 years has left them with post-traumatic stress and has created a forum of discussion, laughter and entertainment in the chat room. Hmm, Uniport LC, please answer to that! It’s almost 17years now! Also, Salute to AA Tukor, AA Isi-ukwu, AA Undiga, AA braddy, AA 4cup, AA Afomzy etc. Again, a big salute to all the Aiesec Alumni in the chat room, thanks for re-inventing our wonderful college days with pictures of empowering meetings, educational trainings on public speaking and developing social skills. Thanks for those days we had to dress formal and prepare our presentation before going into SHELL or WILLBROS to discuss partnership, or when we have to stay longer in a meeting all because a mandate has not been met! Thanks for the seminar that almost didn’t hold, as we were ordered by military men at the border of Cross River state and Cameroun. Thanks to Aiesecer Rothmans/Nonso and Tinuke for caring for me as I traveled into Cameroun with that very mind-blowing malaria fever! And best of all, thanks for the genuine brotherly and sisterly love showered on each other. Especially between Uniport and Enugu LC. So… Any AIESECer in the house? ‘AIESECer o men ! ‘Make some noise! “Osi na nature” = everything from nature! (Drum rolls for group dynamics). RIP: AA Humpty, may your gentle soul continue to rest in perfect peace.